It’s a fact that we’re based in Southern California along with the vast majority of our clients. It’s also a fact that Southern California is in the middle of one of the worst droughts in recent history. Water conservation is something that we all have a shared responsibility in achieving. 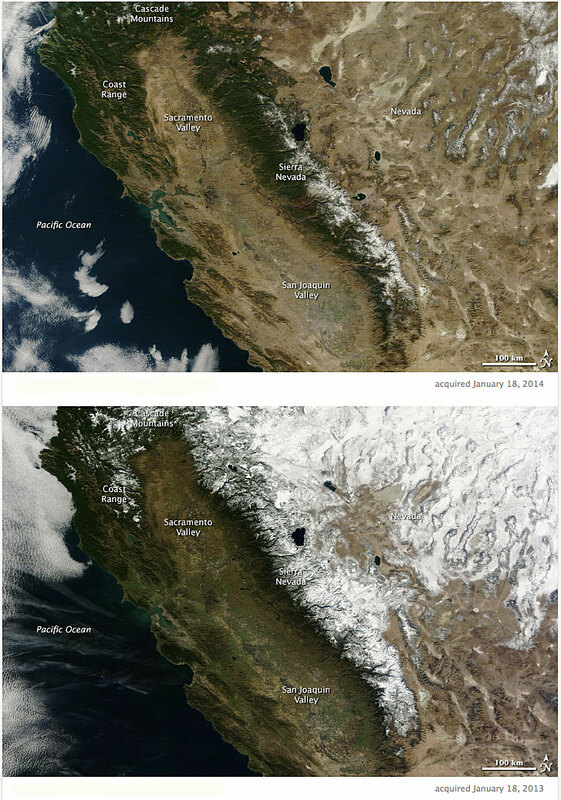 Have a look at this image from NASA showing the difference in the snow pack taken exactly one year apart (January 18, 2013 and 2014). It really is disturbing to think about the implications of this. There are a number of areas that we can save a lot of water right from the start. The idea of a green grass lawn in Southern California is starting to become a bit absurd in my mind — even though I have a postage stamp lawn of my own, we should start thinking about geographically appropriate landscape. There are some stunning options available as well as financial incentives available from various government entities, so there really is no excuse. Another area of conservation that we as consumers can have a major impact is by being conscious of how much water we use when we wash our dishes. 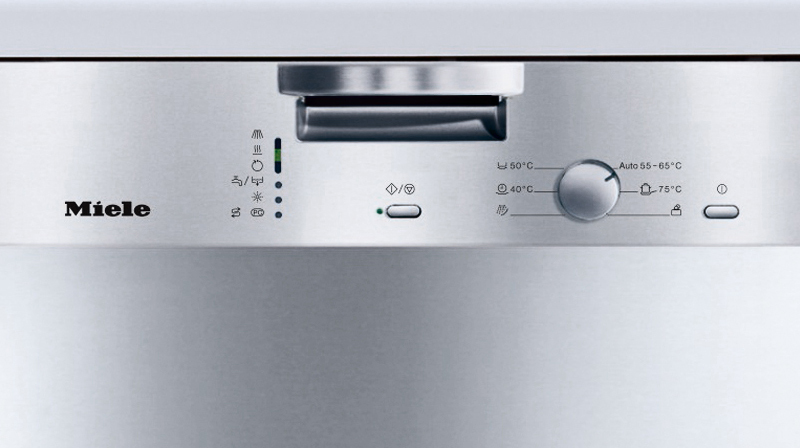 Some of the newer models, particularly the Dimension models by Miele are incredibly efficient and use a lot less water than actually washing the dishes by hand. In fact, due to some major advances in design and manufacturing, they use a lot less water than appliances that are only five years old. While I’m all for longevity in appliances, I’m also a big fan of efficiency — and sometimes that requires upgrading to newer models. In the long run, the cost — and even more importantly — the energy footprint that you create will be greatly reduced and that will benefit not only you, but everyone who lives here in (a very dry) Southern California. Lastly, with Los Angeles expecting anywhere from 2 to 4″ of rain this weekend, it’s easy to think that we’re in the clear (at least temporarily), but the sad truth is that all residents in Southern California need to change their ways or face some very real threats in the very near future. I’ll be sharing more ideas on conservation in future posts. In the mean time, let me know what you’ve done that’s made a difference in your home and even how little or how much it’s impacted your lifestyle.